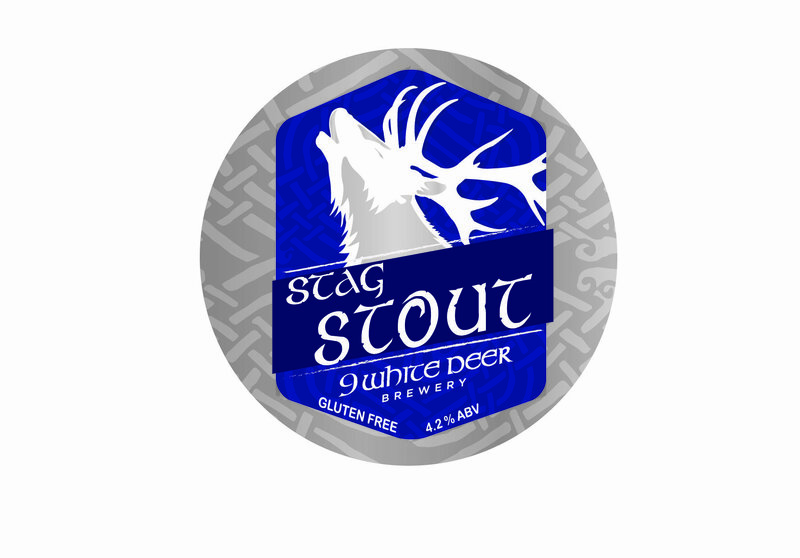 Stag Stout is a medium bodied traditional dry Irish stout at 4.2 % ABV. It is designed to appeal primarily to traditional stout drinks, who remember how creamy the pints used to be. The complex recipe we developed brings back to life characteristics that are long forgotten. 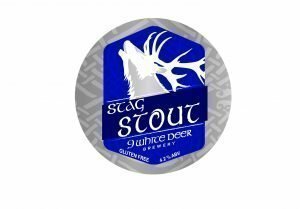 However this stout is like no other, Stag Stout also happens to be gluten free, the first of its kind anywhere in the world. The appearance is jet black with a thick and cream like, long lasting ivory coloured head. The flavours are of moderately roasted grains and a low hop bitterness balanced by a small malt sweetness. With the malt bill leaning towards chocolate malts than roasted barley leads to a softer and less astringent stout. The aroma profile is as expected of a dry Irish stout with a coffee and roasted grain aroma along with subtle hints of vanilla. The combination of the medium body, low carbonation and low hop bitterness makes Stag Stout a dangerously drinkable stout that tastes every bit as gorgeous as it looks. 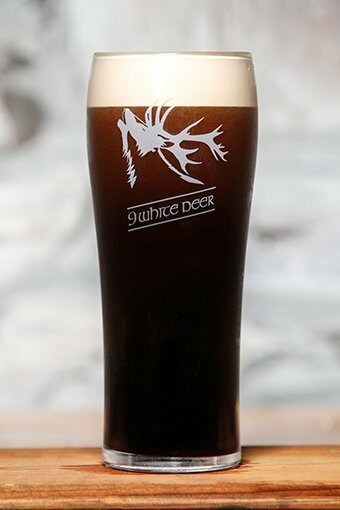 We Promise you as you enjoy a pint of Stag Stout you will agree with us when we call it the Smoothest Stout in Ireland. A true Traditional Irish Stout.